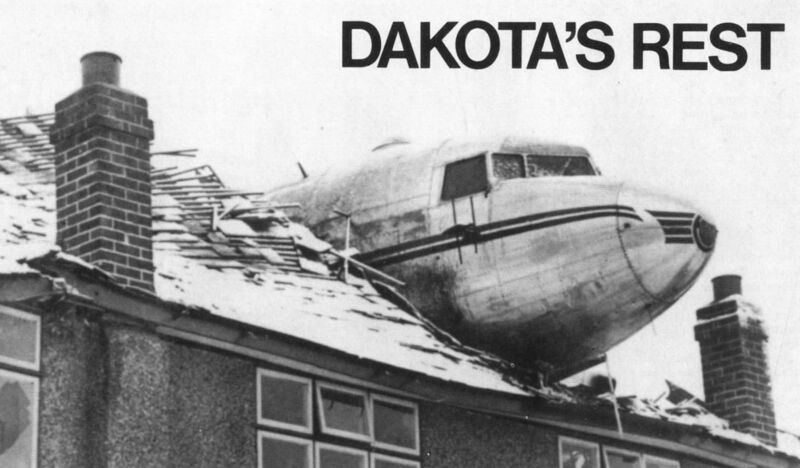 Dakota G-AGZA before the accident. 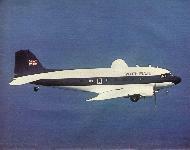 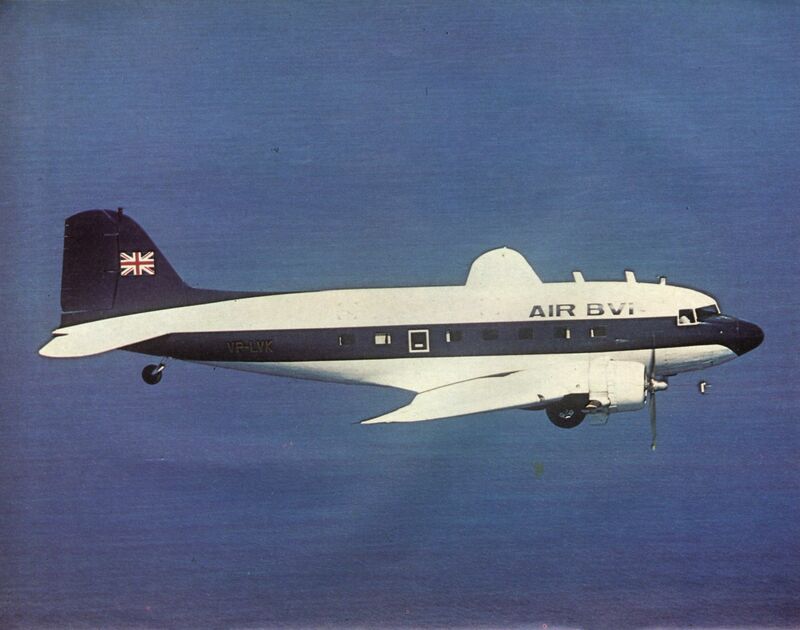 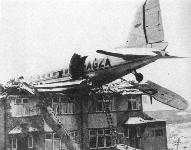 Formerly serving in the RAF as KG420 the aircraft had been in service less than nine months at the time of the crash. 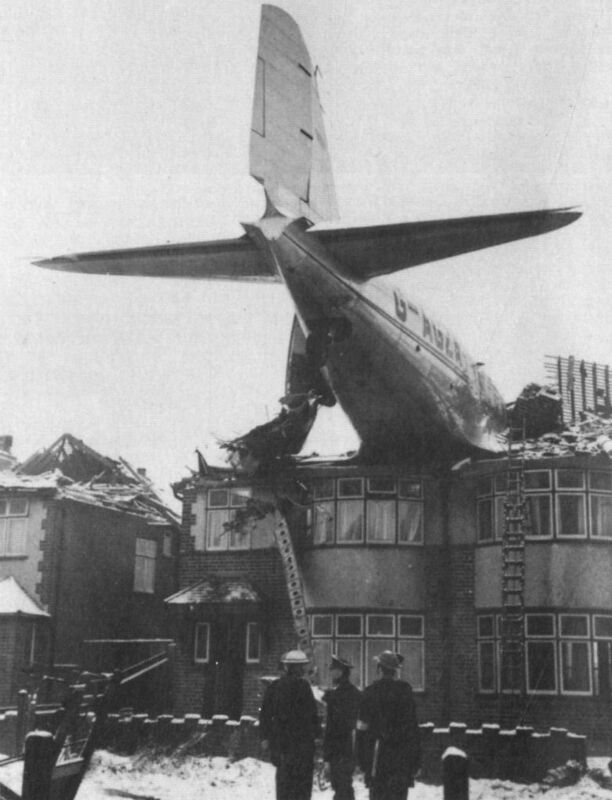 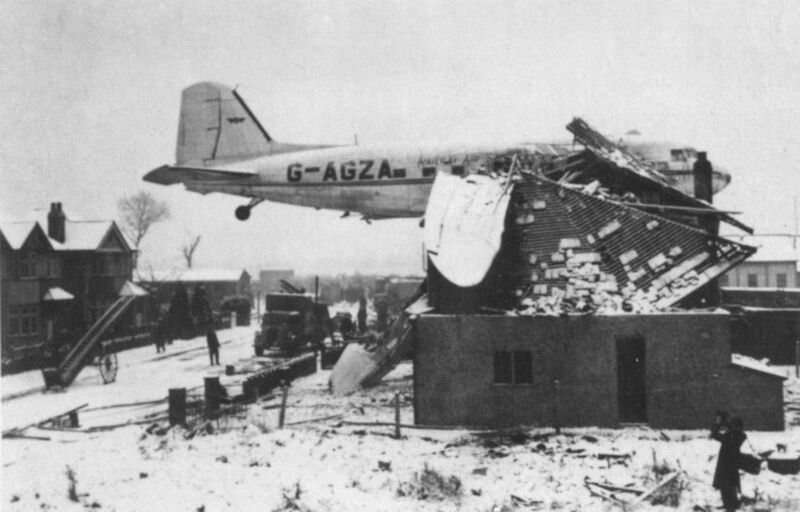 Incredibly, no one in the Dakota or in the street was injured when this Railway Air Services aircraft dropped into No 46 Angus Drive, Ruislip.